The title of this article gets the point across, but watch the trailer below to see what I mean. Yeah. Now watch some of this video of some actual NES gameplay of Mega Man 2. And now compare to the Mega Man Legacy Collection released for PS4. As such, the steaming-pile-of-crap frame rate is what we get. And a set of controls that just look... bad. I can only imagine how much thought went into them. "Hey, how do you think we should do the controls?" "I don't know, just slap a generic d-pad and a few buttons on there and call it a day?" I think we're starting to understand why Capcom is only charging 2 bucks apiece for these. 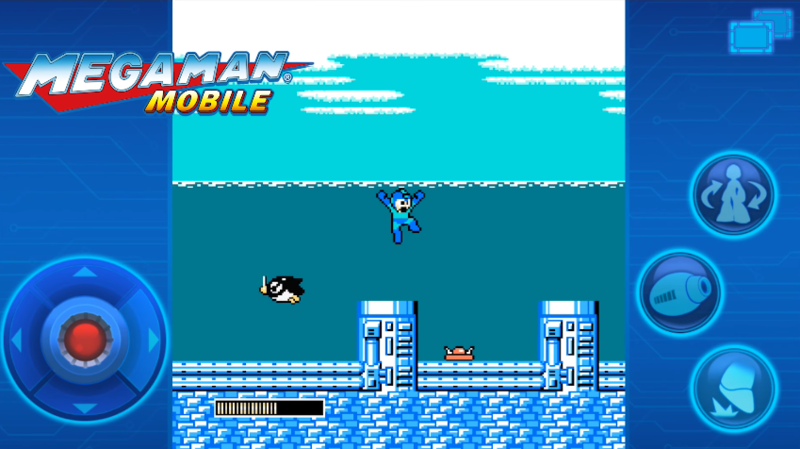 Mega Man was a notoriously difficult franchise throughout its lifetime, and by hamstringing the games' frame rate and saddling them with mobile controls, one has to wonder if it will really even be possible to complete some of the more challenging boss fights (or really, whether the frustration is worth it). NES emulators using pirated ROMs provide much smoother performance than these official ports, which isn't surprising. Reactions to the trailer are pretty much universally negative - fans are absolutely raking Capcom over the coals because of this abysmal frame rate, with some holding out a small hope that this is just a result of how the trailer was rendered (though there is zero good reason for that to be an issue - the transitions for assets in the video are clearly at a smooth frame rate), but that seems unlikely. Well, maybe Capcom will fix it? Maybe? Probably not. Well, this is... surprising? Not really: Capcom has now disabled comments on the trailer for the video. Most of those comments were highly critical of the trailer for the abysmal frame rate in the games shown, with one claiming Capcom had essentially gotten lazy and ported some old existing mobile-only Mega Man ports that had extremely dialed-back performance. We'll let you know if Capcom pulls the trailer.